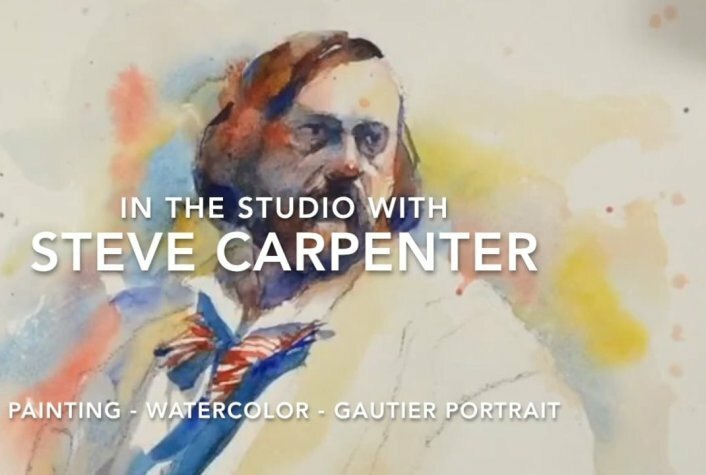 In this watercolor painting video demonstration Steve addresses all of the basic principles of watercolor portraiture. Watch as he makes artistic choices while rendering the pencil sketch. See the watercolor techniques he employs as he completes the painting. From the details of facial features to the treatment of the clothing and addressing the background the basics of watercolor portraiture are covered in this video.